Dark Chocolate Truffle Macarons - Let the Baking Begin! These Dark Chocolate Truffle Macarons will be your new favorite macarons recipe. A chocolate macaron recipe with a dark chocolate batter and a rich chocolate ganache. Oh, macarons! How wonderfully delicious you are! Fragile, yet soft; fudgy and full of intoxicating dark chocolate! I could sing this tune forever, but I will spare you. 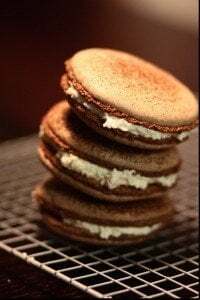 Instead, I will tell you how I make this chocolate macaron recipe. The reason why these dark chocolate macarons get so soft and fudgy is that the filling is rather soft. When you allow the macarons to sit in the fridge (aka mature) for 24 hours, the moisture from the chocolate ganache filling gets absorbed by the chocolate macaron shells, which produces truffle like middle and a brittle shell (it does remind me of this Truffle Cake). The recipe for the macaron shell is adapted from Pierre Herme’s Book “Chocolate Desserts”, so you know you can trust this macaron recipe. The dark chocolate ganache recipe though is just simple ganache, but in specific proportions to make it to the consistency of a truffle candy. 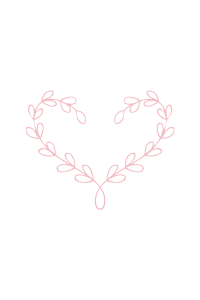 If you’re looking for a comprehensive guide to troubleshooting macarons, check out THIS post. What are your favorite macarons? The French macaron is such a popular dessert all over the world. There are so many different flavors and types of macaron recipe that you can make. What is your favorite macaron flavor? Pistachio Macarons– Pistachio macarons with vanilla buttercream. 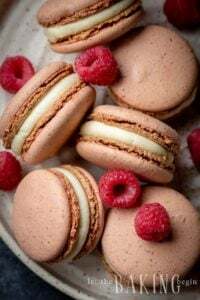 Raspberry Macarons – Nothing like raspberries in macarons. 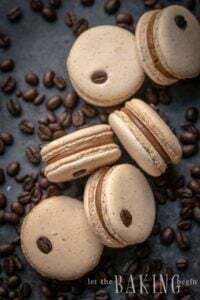 Salted Caramel Macarons – Need I go further than caramel?? These Dark Chocolate Macarons will be your new favorite macarons recipe. A chocolate macaron recipe with a chocolate meringue shell is paired with rich chocolate ganache. PREP: Line two baking sheets with parchment paper or a silicone mat. Preheat oven to 300F. Fit a large pastry bag with a ⅜ inch or ½ inch round tip. Twist the pastry bag right above the tip and drape it over a tall glass. Set aside. Process the almond flour and 2 cups of powdered sugar on high, in the food processor for about 3-5 minutes, with breaks to let the mixture cool down in between (overheating the mixture might cause it to turn to paste and release the oils) and to scrape the sides and bottom. Scrape the sides every minute or so. OR sift it through a sieve twice. Heat separated egg whites in the microwave for 20 seconds in 5-second intervals, mixing in between. 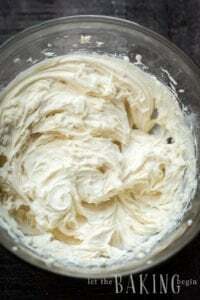 Whip egg whites in a clean bowl of a stand mixer. As soon as the egg whites start to gain volume, gradually add 2 tablespoons of powdered sugar. Whip them just until they are firm but still glossy and supple – when you lift the whisk, the whites should form a peak that drops just a little. Sift the dry ingredients and the cocoa powder through a fairly large holed sieve into the egg whites and gently fold them in 2-4 additions. The egg whites will deflate and form a thick batter. Keep folding until the peak from the batter dropped into a bowl disappears in less than 30 seconds. Do not over mix. Spoon the batter into the pastry bag and pipe 1-inch domes about 2 inches apart, by holding the pastry bag ½ inch above the baking sheet, applying gentle pressure, then releasing the pressure and quickly moving the pastry tip in a swirl motion up. Once all batter is piped onto the sheets, take a sheet and rap it against the counter as many times as it needs for the domes to spread into about 2-inch circles and for the tops to become smooth (this might take 5-10 times). Dust macarons tops with some more cocoa powder, if you wish. Bake macarons at 300F on the middle rack for 12-14 minutes, until the tops, are firm to the touch. Allow the macarons to cool completely. If they do not come off easily, slide a thin knife right under the shell to help them come off and bake the next batch just a minute or so longer so that the bottoms peel off easier off the parchment or silicone. Repeat with the second baking pan of piped macaron shells. Heat ½ cup cream. Pour over the chocolate chips and allow to sit for 1-2 minutes. Stir until smooth. Add ½ chilled heavy cream to the mixture and stir to make a smooth ganache. Leave in the fridge until it is firm enough to spoon or pipe onto macaron shells, stirring it every 10 minutes. Pair macaron shells according to size. Spoon or pipe 1 tsp of ganache onto 1 of the macaron shells, covering it with the other one. Repeat with the rest of the macaron shells. Allow the macarons to sit at room temperature overnight, then transfer to refrigerator until ready to serve. 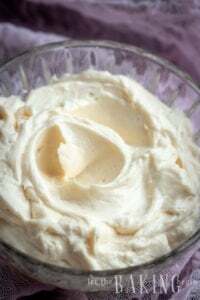 How to make your own almond flour: process whole unroasted almonds in food processor until fine, stopping about every minute to scrape down the sides and to allow the mixture to cool, otherwise, it can turn into an almond paste. If you do not have a blender, simply sift the powdered sugar and the almond flour together through a sieve several times. When mixing the meringue and the almond/powdered sugar mixture, take care not to overmix. The batter should flow off the spatula like lava in a thick ribbon that doesn't disappear into itself right away. Overmixed batter will produce hollow macarons that are very thin, with a shell that is too fragile. It is better to not mix enough, then overmix. It is better to bake too long, then not enough. Meaning: if the macarons are not baked through, they will look all perfect on the inside, but very hollow on the inside. The inside that isn't baked through just collapses, forming a big hole inside. If you overbake the macarons and they are hard when cooled, just fill them with a filling that has a higher moisture content, and leave to mature for a little longer. The moisture in the filling will make the macarons perfectly soft and no one will know that they were once hard. The macarons must mature in the fridge before consumption. They follow a bell-shaped curve when it comes to the perfect flavor. The macarons will peak at about 24 hours and slowly go down after that. For longer storage of macarons: wrap each macaron in plastic wrap several times to prevent loss of moisture and drying out. Then, store in an airtight container in the freezer for up to a month. To thaw: remove from the freezer and allow to come thaw in the fridge. This didn’t work for me at all. I followed the instructions exactly and the “batter” for the shells turned out more like a dense dough. Yeah this recipe sucked, Did you even try this recipe?? Either one?? I have a Culinary degree and I can certifly tell you that this recipe needed testing and modifying before being introduced to the public. I’m sorry it didn’t work for you. The pictures in the recipe ARE made from the recipe and instructions above, furthermore I did a live class to an audience of 30+ people using the recipe, that’s aside from just testing and using it at home. Macarons are a tough cookie to get right, and it’s not always the recipes fault when they don’t come out right. Hope you have better luck next time! These just didn’t turn out right at all for me. They were not smooth on top even though I did sift everything 3 times. The batter was a bit thick. They did form feet, but they were heavy, not light. Flavor was ok.
I’m sorry it didn’t work for you Jessica 🙁 Thank you for your feedback! How do you keep the tops so smooth? Mine looked beautiful coming out of the oven, but as they cooled they started to look sort of wrinkly. Otherwise, yum! Hi Peggy, Usually if the macarons get wrinkly as they cool it means that the macaron batter has been overmixxed a little bit. Next time try to mix less and it should do the trick. Can I whip the ganache. It was super runny. How do I fix it??? Make sure the ganache is well chilled before whipping. Otherwise it will not work. Also, chilling the ganache should thicken it enough. If your chocolate doesn’t have enough cocoa content to thicken the ganache, heat it slightly again, and add more chopped chocolate and stir. Do not overheat ganache or it will separate. hi marina i was wondering if you could put two pans in the oven at the same time instead of waiting for the other to finish. With macarons you want to give them all the space they need, this means that they really need to be baked one sheet at a time. Somehow if you do two sheets at once, they don’t come out right. The chocolate to heavy cream is way off in the ganache. I think you meant 1 cup of chocolate chips instead of 1/2 cup- was super runny. I also think you forgot to put about leaving the cookies out to settle and harden before baking. My first batch that I didn’t leave out is very grainy but the second that I had to leave out while the first batch baked look they are supposed to- nice and smooth. I have tried making ganache with both 1:1 ratio and 1:1/2 ratio and because I wanted the inside of the macarons to be truffle-like soft, I liked the 1/2:1 better. You do have to refrigerate the ganache until it firms up just enough to be able to spoon it between two shells though. With the 1:1 ratio the ganache gets pretty hard when refrigerated. Also, in this particular recipe Pierre Herme did not instruct to leave the macarons out before baking, so I didn’t include that in the instructions either. I have tried baking macarons both ways and both ways work, but you can definitely do what works for you and your oven. The macarons are so tricky, that it seems that every person and every oven have their own specifications for what’s going to make them work. I’m glad you found the tricks to make it work for you :). Hi, these macaron recipes are the first I’m seeing that do not require “resting” before baking…is this in fact accurate? Quick question about the chocolate chips. Are these milk chocolate, semi sweet, etc? I’m really excited to make these!!! why is that? did i not mix well enough? My macaroons didnt get the feet at all, but they also didnt crack. Do you have an idea of what the problem was? I just made these – same here! No feet. I think I over-mixed it (deflated). It took a lot less mixing than macaron recipes I have used in the past. Still tasted good! I’m confused because you are adding powdered sugar twice, in step 4 and then again in step 6. Is it 2 cups for step 4 and then 2 tbsp for step 6? Thanks for your question. I added clarification in the recipe. Yes you understood correctly, first you grind 2 cups of powdered sugar with the almonds, then add 2 tablespoons of powdered sugar when you whip the egg whites.